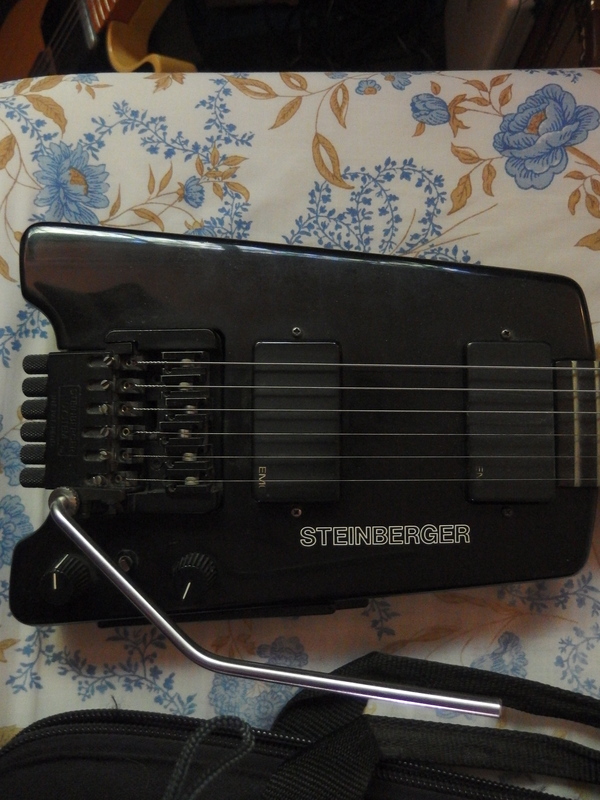 What's the story on Steinberger? Discussion in 'The Small Company Luthiers' started by eddie101, Apr 23, 2016. Do they still make them? I've had GT2S (?) 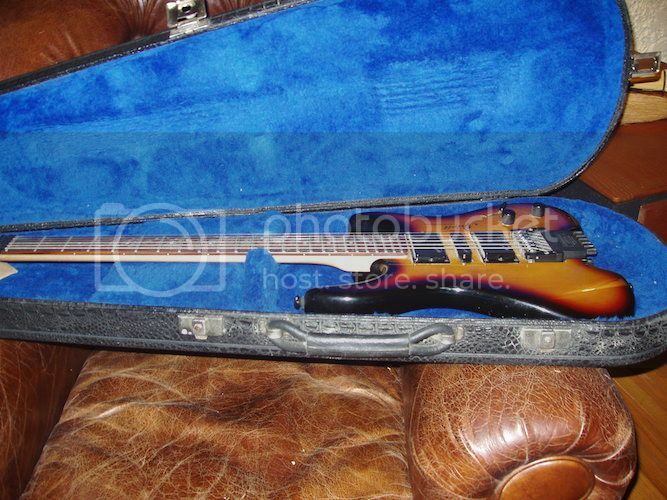 - which had a strat like body - back in late 80's back but I sold it. Now, I'm in the market for another but I can't seem to locate all original one these days. Any SteinB history experts out there who can shed some light on this? I thought Gibson bought the company sometime ago but that's pretty much all I know about its history. Whats' their flagship model anyway? Thank you for your input. I had a GL2 some years ago and sold it as well and recently went looking for a Steiny and could only find NOS Steinberger Synapse's. I ended up buying a used one and I must say, it is pretty decent and from what I recall from my GL2, just as good. I did have a Hohner a couple years back which was a good bang for the buck and recently, a Carvin Holdsworth HH1 which sounded great. Sorry I can't help more and hope this helps. I see. Thank you anyway. sixesandsevens and derekd like this. And used ones are here though they seem pricy. I have a GM2 in Black, that will NEVER leave my hands. 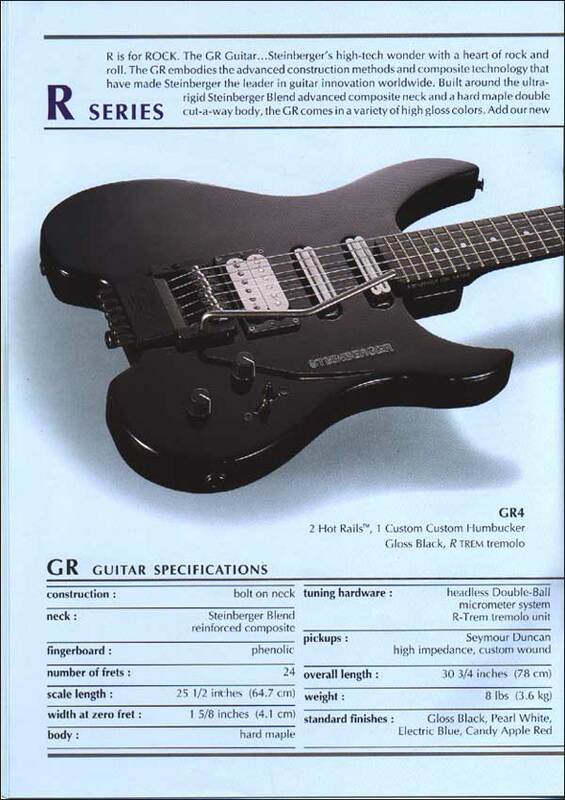 I ordered it out of the Sam Ash Catalog in 94. I thought Gibson bought the company sometime ago but that's pretty much all I know about its history. Whats' their flagship model anyway? They stopped making original USA Steinbergers like the GM2S you had in 1998. 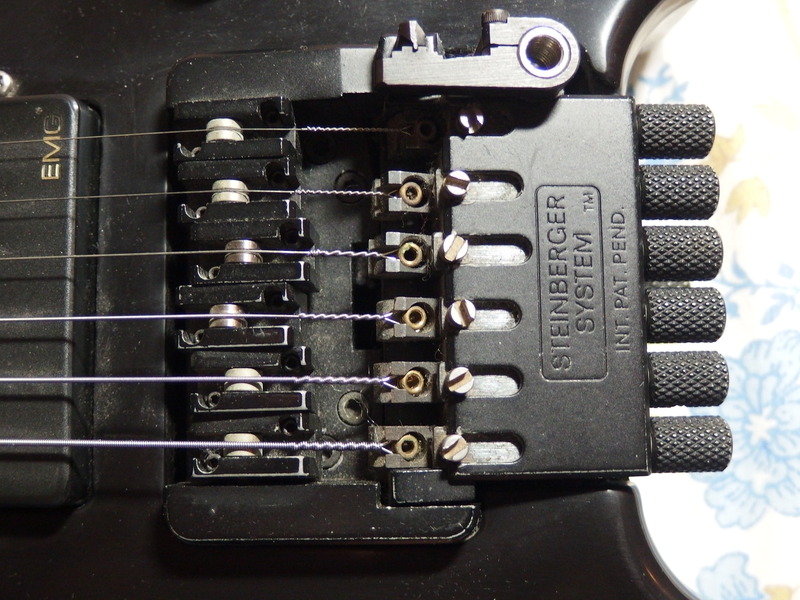 After a brand resurrection in 2002 with slightly modified designs (4-bolt Moses necks, battery compartment) they closed down Steinberger manufacturing again in 2008. Currently there are the ZT3, the Synapse (both made in Korea) and the Spirit line (made in China). The "flagship" is definitely the ZT3, which is a fine guitar, but the lack of replacement parts for this guitar and the TransTrem 3 on it makes it a bad investment. Gibson simply doesn't provide any parts for it, just fulfills warranty claims, but once you're out of the warranty period you may as well throw the guitar away when something is broken. They can be found used for reasonable prices, but you'll have to be quick and use any BIN option, if available. I just want to add that the old Stenbergers are fantastic and consistent instruments. I've had several of the old GLs and from one to the next they were uniformly great. I think of all my guitar sales regrets, the Steinbergers are near the top. I have one of the Spirits, and it really is dreadful. Tiny frets, an intonation that's a PITA to set up, and the tuners are coated with a black oxide plating normally reserved for socket cap screws that leaves an ugly residue on your hands. On the plus side it is light the neck feels quite comfortable and it sounds okay. I suppose it's only a refretting and a bridge/tuner assembly away from being a legitimately good instrument, but I don't feel like investing in it. I think I paid close to $400 CDN for mine, sight unseen on an impulse, and it was among the worst purchases I ever made. I'd love to sell it, but I doubt it would shift for $200, let alone the what I paid for it. So it sits there in the studio reminding me to always try before I buy. I sold two Spirits. I never got used to the missing head. Last I heard, Gibson bought them, and they rolled off the Cort factory in China alongside Honer. One of mine was sort of Strat shaped, the other the paddle shape. Good travel guitar. I sold them to a co-worker for $275 each. and threw in a hard side case for each. Yeah, I lost money, but they were collecting dust and I moved on. I have an original R I've owned since the '80s. All stock and looks just like this one from the catalog. It's "by my cold dead hands" will it leave me guitar. leonard d rock, Bobby D and pressure like this. By the way, I don't believe the Spirit line is the type of guitars discussed here. 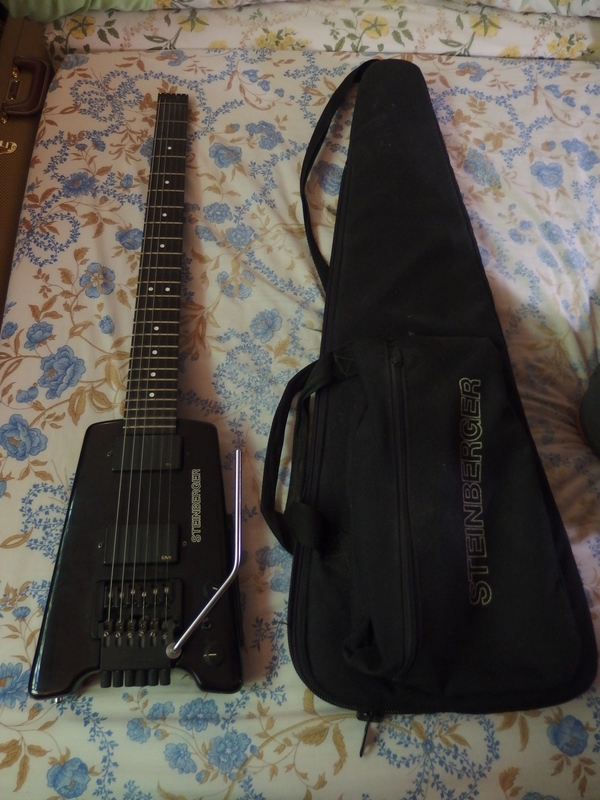 I bought a new Steinberger GM4TA with the Trans-Trem and stock EMG pickups in black when they were still in production. Never got used to the feel of the neck, but it sure sounded nice. I got my GL2T in the early 1990's. Great guitar and very practical. I think it's beautifully designed. freedom's door, Bobby D, FuManchu and 2 others like this. Dead silence so far on the availability of instruments - this presumes that the likelihood of any current Gibson dealer stocking *new* Steinbergers is zero. Depends. If you're talking about the Synapse and the ZT3 which *are* the new Steinbergers, their availability varies. Gibson only starts production of a new batch if there are enough back orders. Then they come and are gone again pretty soon. There is no (more) regular supply of these guitars. If you're talking about anything with a carbon neck etc., the answer is no. More NO than no. Kiesel Vader would seem to be the route to go these days.